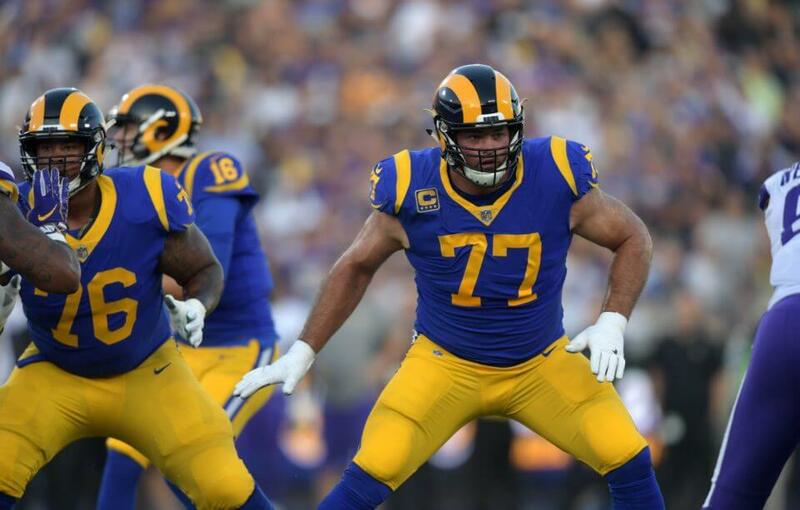 The Los Angeles Rams’ win over the Dallas Cowboys in the NFC Divisional Round was a bit of a career milestone for many in the franchise, but none were perhaps more well-deserving of the victory than Andrew Whitworth. The 37-year-old had gone 13 years without winning a playoff game after spending the majority of his career with the Cincinnati Bengals. This was magnified by the fact that he had been the only player in NFL history to lose all seven of his playoff games prior to the 2018 NFL season. Whitworth was finally able to put an end to his playoff drought by paving the way for the Rams backfield en route to a historic rushing day. Despite his stellar performance, he knows the job is far from finished. Whitworth’s comments should come as no surprise since they are indicative of the team’s expectations. The veteran could have gone to a number of playoff contenders when he became a free agent prior to the 2017 campaign, but he ultimately signed with the upstart Rams because he wanted to ‘build something special’ in the final stretch of his career. It is safe to say the veteran has helped do just that with the Rams now set to square off against the New Orleans Saints in the NFC Championship Game. Whitworth is just two wins away from achieving his ultimate career goal.